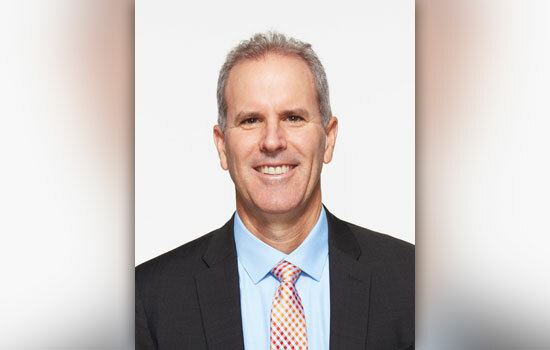 Rochester Institute of Technology’s College of Imaging Arts and Sciences (CIAS) will present its prestigious Melbert B. Cary Jr. Award to Stephen Nigro, president of HP Inc.’s 3D printing business, on April 3. Nigro will accept the award during a luncheon with RIT President David Munson. He will receive the award after touring RIT’s AMPrint Center and CIAS laboratories and design spaces with faculty and students on the Henrietta campus. CIAS faculty and students from the School of Media Sciences, School of Design and School for American Crafts will show Nigro projects developed using some of HP Inc.’s most recent products, Sprout and DAVID scanner. The faculty and students will showcase how these state-of-the-art technologies have enhanced their creativity and experiential learning in the classroom. As part of his daylong visit to RIT, Nigro also is scheduled to deliver a public lecture from 2 to 3 p.m. in Golisano Hall auditorium (room 1400). Nigro will be joined by David Woodlock from the market development group in HP’s 3D printing business. The presentation, which will focus on 3D printing’s role in the $12 trillion manufacturing market, is hosted by CIAS’ School of Media Sciences. A reception with light refreshments will follow. The Melbert B. Cary Jr. Award is presented to those who have distinguished themselves in the advancement of technology in graphic communications and related industries. Among those industries are 3D printing and additive manufacturing, as demonstrated by RIT’s innovative AMPrint Center. The center, housed in a 3,200-square-foot space in RIT’s Institute Hall, is made possible by a public-private partnership that includes financial commitments from New York state and Xerox Corp. In his role at HP, Nigro is responsible for bringing disruptive innovations to market, leveraging his company’s proven technology and 2D expertise to the 3D print market. Shu Chang, the Melbert B. Cary Jr. Distinguished Professor in the School of Media Sciences inside CIAS, nominated Nigro, who “represents all of the high standards recognized by the Melbert B. Cary Jr. Award,” she said. Nigro previously served as the senior vice president of HP’s Imaging & Printing business, bringing the industry’s leading imaging and printing solutions to market. He has more than 30 years of print expertise spanning business leadership, product and technical roles—all in driving the success of HP’s print business. Nigro’s career has seen him lead many of the new breakthrough initiatives in the business. As one of the early inkjet pioneers, he was part of the team that developed and delivered HP’s first color inkjet printer. He also was responsible for setting up the first HP inkjet manufacturing operation outside the United States. In addition to leading the team that delivered HP’s first off-axis inkjet printer targeting the office market, Nigro was responsible for the creation and scaling of the HP Graphics business. Most recently, his team developed and delivered HP’s PageWide strategy, taking inkjet into new markets. The prestigious Cary Award is named in honor of Melbert B. Cary Jr., whose lifelong love and support of the graphic arts inspired others. Past award recipients include Charles W. Hull, the co-founder and chief technology officer of 3D Systems; Frank D. Steenburgh, former senior vice president for business growth, Production Systems Group at Xerox Corp.; Frank Romano, world-renowned printing expert and RIT professor emeritus; John Warnock and Charles Geschke, co-founders of Adobe Systems; Robert Howard, founder of Centronics and Presstek and inventor of the dot matrix printer; Dan Gelbart, president and founder of Creo Products and inventor of the computer-to-plate imaging technology used in modern printing processes; and Lucien De Schamphelaere, founder of Xeikon and inventor of the first digital color press. RIT’s recognition of Nigro is yet another example of RIT’s growing commitment to additive manufacturing and 3D printing by the university and its partners. The university’s AMPrint Center is a consortium of university-corporate-government partners focused on developing 3D printing and additive manufacturing technologies.